Speed ​​Queen is a trademark of Alliance Laundry Systems. Alliance Laundry Systems is, quite simply, the world leader in manufacturing professional laundry equipment, and this for over 100 years. Alliance LS brings together the world’s leading brands in the Alliance, laundry equipment for hotels, the commercial laundry sector and undertakes daily to provide its customers with the best products and services possible in every sector in which it operates: self service laundromats, communal residences, integrated laundromats but also professional washing machines and dryers for domestic use. The Alliance Laundry Systems Group employs more than 2,500 people across more than 140,000 square meters of office space and state-of-the-art manufacturing facilities worldwide. The Group’s product range is complete, modern and constantly evolving. It includes, for example, washer-extractors or dryers and ironing machines that are renowned for being the most reliable and durable on the market. 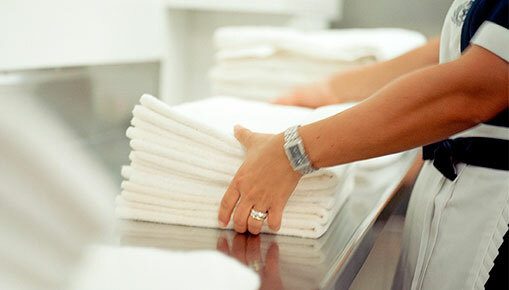 These state-of-the-art laundry facilities are used in both laundromats and collective laundries in residential buildings, military bases, integrated laundries for hotels, retirement homes, prisons and other institutions. To maintain and consolidate its position as the world leader in professional laundries, Alliance Laundry Systems is constantly looking for new services and development opportunities. The group has created its own financing service as well as specialized laundry concepts such as laundromat modules. ALS has also set up a training academy (ALSU – Alliance Laundry Systems University) and offers an unparalleled customer service program: Customer One ®.